Some of us may cringe at the mention of the Wii Sports series nowadays, given the “casual gamer focus” that it came to represent for Nintendo in the latter half of the last decade. And yet it’s hard to deny that the series is well made, technically sound and quite a bit of fun to play. The excitement that came when you first tried playing tennis in the first Wii Sports is a strong memory for many people the world over, even if the motion control promise that is represented was never truly realised afterwards. Though it lacked the record-setting hype of the first one, Wii Sports Resort was arguably an even better game, and I spent hours on its refined golf, table tennis and swordfighting modes. Even though a new Wii Sports game isn’t exactly high on my Nintendo wish list, I have to give credit where credit is due. Hear me out. The Fire Emblem series, engineered by the gifted folk at Intelligent Systems, is one of Nintendo’s most beloved properties, merging memorable storytelling with tight strategic elements, and I’ve seen many Nintendo fans lodge it firmly in their own personal top tens. But not mine. Yes, Fire Emblem: Awakening on 3DS is by all accounts an incredible game that makes large strides towards giving the strategy RPG world of Fire Emblem a wide appeal, but it came out last year at a time when I had a lot of other games to play and I didn’t get very far before it fell by the wayside a little bit. As for the series before that, while I’ve enjoyed what I’ve played (If I didn’t then the franchise wouldn’t be on this list), the similarities it holds to other turn-based strategy franchises that I enjoy, most relevantly to another Intelligent Systems series, temper my enjoyment somewhat. More on that soon. Though this “series” isn’t actually linked by a common subtitle, it’s clear that each game represents a mechanical successor to the previous one. The prospect of watching your hard-trained portable monsters battle it out in glorious, colourful three-dimensional arenas was enough to make the first Pokemon Stadium a huge hit with Pokemon fans, but surprisingly that isn’t why a lot of people remember the game fondly. Those four player minigames! I never owned Pokemon Stadium 2, though I rented it plenty of times for its own minigames, but Pokemon Colosseum was better in my opinion. A great package with more value than any other game in the series, it tried to do a full-on 3D Pokemon story in addition to hosting a battle mode and almost nailed it. 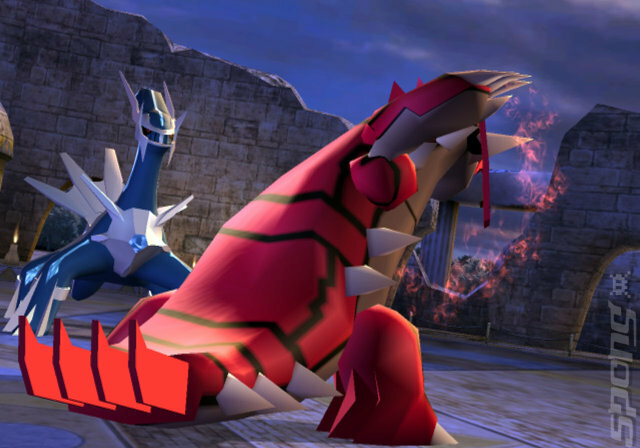 Pokemon Battle Revolution is still the most visually impressive and, for lack of a better word, “realistic” depiction of Pokemon battles I’ve seen thus far, but it offered little more than one mode and has arguably been rendered obsolete by the full 3D battles and trainer customisation of Pokemon X & Y.
Nintendo’s most obscenely powerful major character, and probably also its cutest, holds a special place in the hearts of many gamers. The power-stealing, floaty platforming mechanics of his adventures are a big part of what makes him so memorable, and the sheer volume of Kirby videogames out there doesn’t hurt. However, the biggest reoccurring problem with the Kirby games is their disappointingly low average difficulty level. While Nintendo’s usual appeal is a genuinely “all ages” design philosophy, Kirby is unmistakably aimed more at younger audiences. And that’s OK, of course, but it does mean I haven’t played too many of his games. There are two exceptions to this trend, that I have played at least, and they are the reasons why Kirby is in this position on my list. I still have yet to properly finish the original Kirby’s Adventure, which provides a good challenge, and the touch-only Kirby: Canvas Curse is quite simply one of my favourite DS games of all time. I’m absolutely thrilled that it’s getting a Wii U spiritual sequel next year.